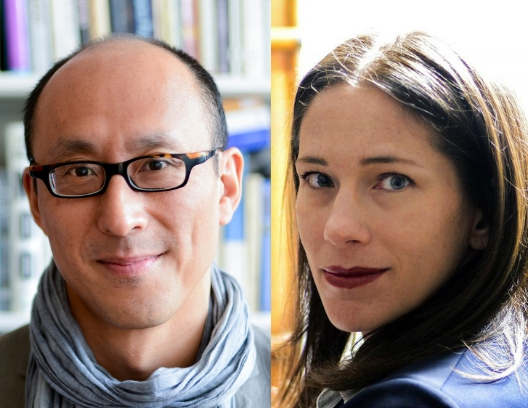 David Eng and Melissa Sanchez are featured in Omnia's article, "QUEER THEORY: English professors David L. Eng and Melissa Sanchez explain how theory informs their research." The article is from Omnia's new series OMNIA 101, which interviews to faculty members about how they use critical tools in their research and classrooms to help elucidate the inner workings of academia and highlight the interesting research coming out of Penn Arts and Sciences. In their Q&A with Lauren R. Thacker, Eng and Sanchez share how queer theory is applied to the study of literature and culture. David L. Eng, Richard L. Fisher Professor of English, studies 20th-century literature with a focus on American literature, Asian American studies, law, and psychoanalysis. Melissa Sanchez, Associate Professor of English, researches 16th- and 17th-century British literature, including the works of William Shakespeare and Edmund Spenser.